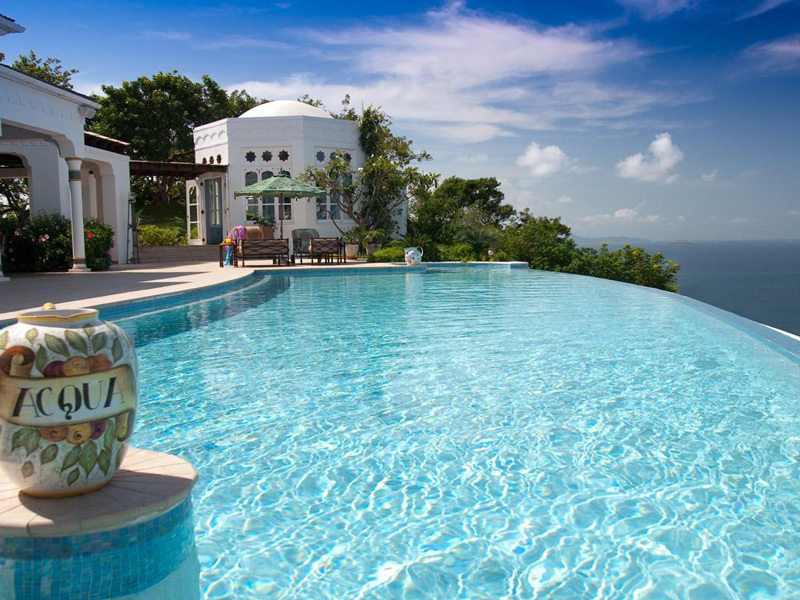 Spectacular panoramic views of the Caribbean and the Atlantic await at this glamorous Moroccan-inspired palace, resting on the highest hill of Mustique. Lavishly appointed with authentic Moorish details, jeweled lanterns and elegant colonnades, Toucan Hill offers guests unsurpassed privacy and tranquility among magical surroundings and splendid gardens. Four luxurious air-conditioned suites ("Toucan,” "Sultan,” "Pasha” and "Palm") each feature private baths, terraces and balconies, spacious dressing rooms and tiled bathrooms. 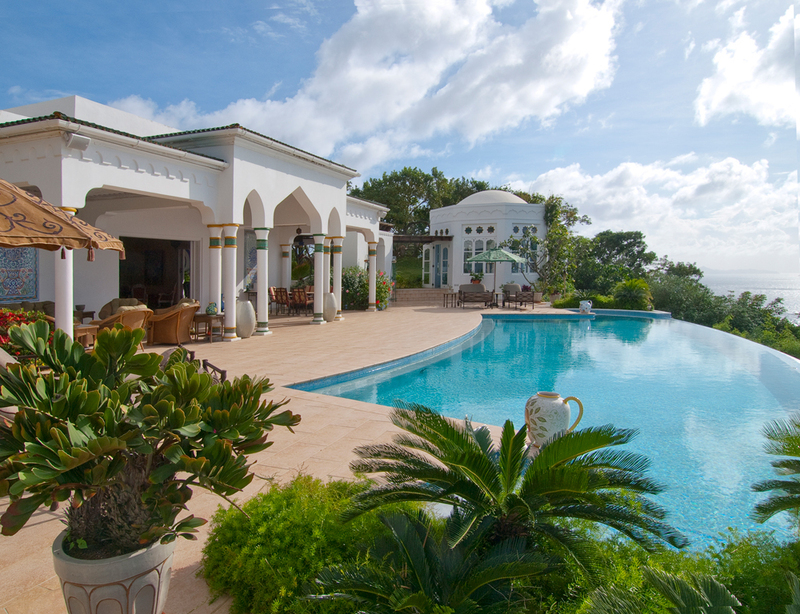 Mosaic fountains, domed octagonal dining pavilion and two infinity pools add to the fantasy theme of this stunning villa. An attentive full-time staff of seven (estate manager, butler, chef, two housekeepers, houseman and gardener) will tend to your every need. Toucan Hill is truly magical—ideal for those celebrating a very special occasion or just looking to relax in the most heavenly place on earth.